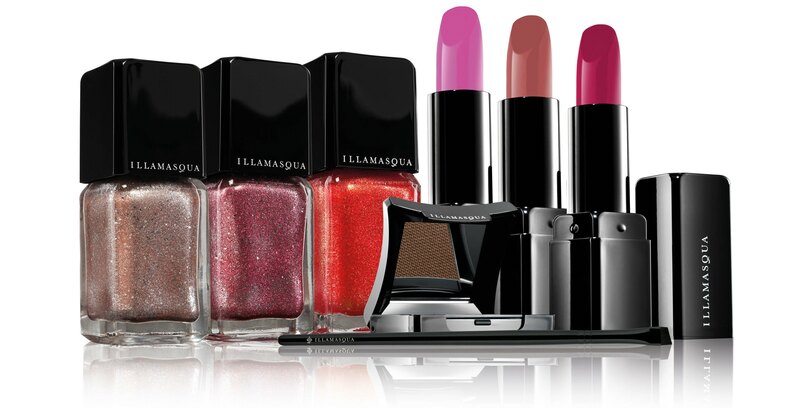 The new Spring collection by Illamasqua is nothing but glamorous. It’s about using different textures and bold bright candy colours with perfectly defined brows. The new Glamore Collection is a modern take on classic beauty, using summer shimmer on nails, candy colours on lips and the all important brow kit. As you know, I am a huge fan of Illamasqua! I love the skin base foundation I have been using (review coming soon) I have also talked about the cream to powder velvet blush a number of times as well as the long-lasting nail colours and other make-up must-haves. I have been using one of the new satin finish lipsticks and sparkly nail varnish from the new Glamore collection and needless to say…I adore them! The new Shattered Star Nails nail polish in Fire Rose is one of the prettiest shades I have ever come across. 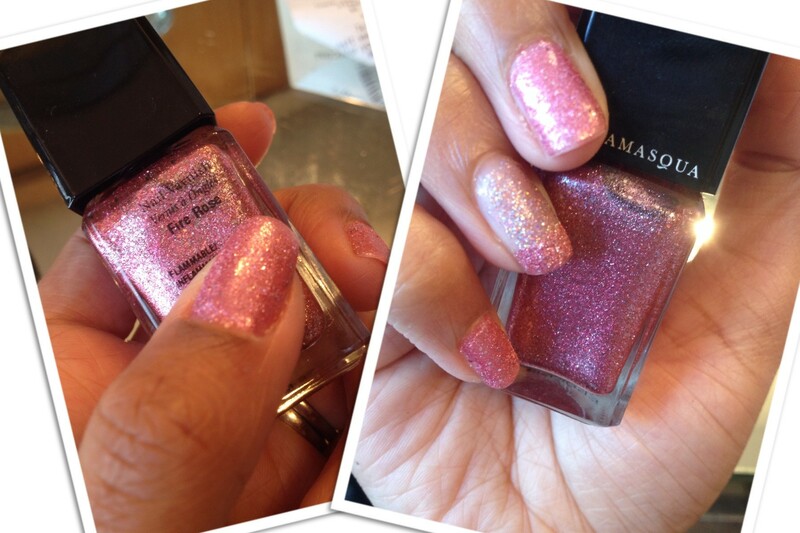 It has shimmer, sparkle and glitter and like all Illamasqua nail polish, it is long-lasting. Fire Rose has a pink undertone and is a lovely colour for holiday for hands and feet so it will be coming with me! You can get yours from Selfridges, ASOS and Debenhams. 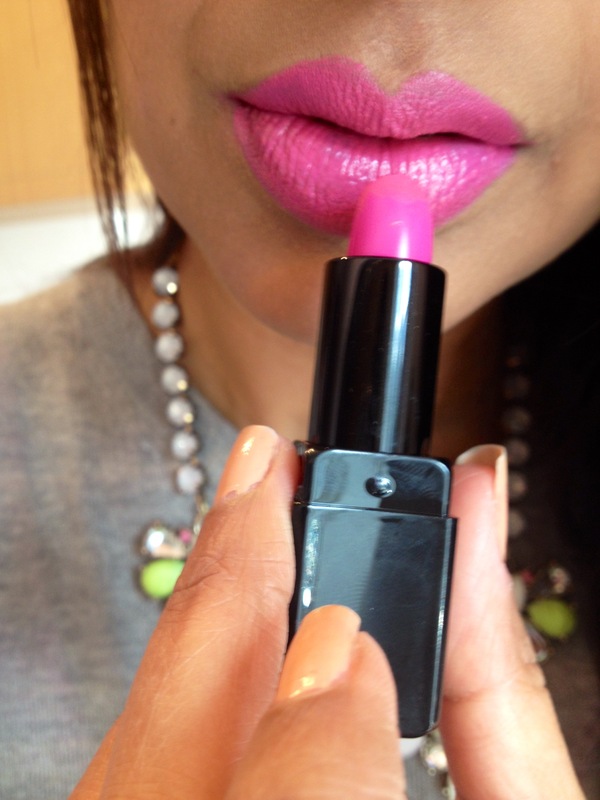 When I first saw the very Barbie pink tone of the Luster Satin finish lipstick I must admit I was instantly attracted to the colour but thought it may be a bit too vibrant for my lips. Once I actually tried it on (which I just could not resist) I felt very different! I love the soft satin texture, not too glossy and not too matte but just a creamy finish and the colour looks fabulous! It’s the perfect pop of neon for a simple summer outfit and again, a great colour for holiday when the rest of your make-up is barely there. There are two more colours in the collection which are a bright orange and bold pink but for me Luster stood out as something different for Summer, what do you think? You can get yours from Selfridges, Debenhams or ASOS. If you have tried some bits from the new Glamore collection let me know what you think and if you haven’t comment below and let me know what you would love to try!